Help with learning first-stage times tables for KS2 (age 7+). 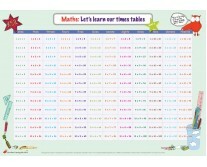 Mat 1 covers 1, 2, 5, 10 & 11 times tables. 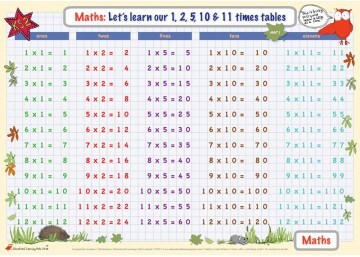 On the front, the tables are clearly laid out; on the back children can test their understanding, a little bit at a time. 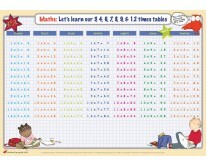 We recommend most children start with Mat 1, moving on to Mat 2 when they are ready. 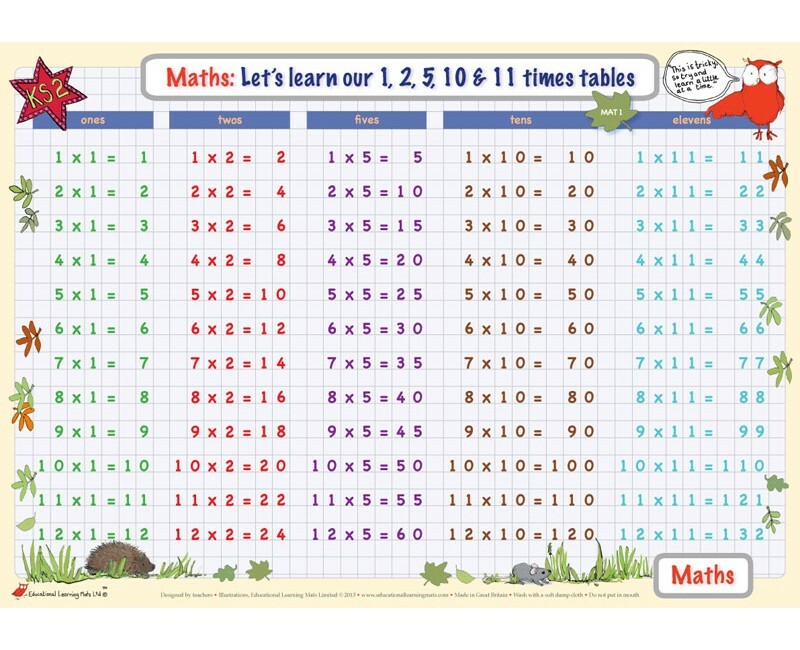 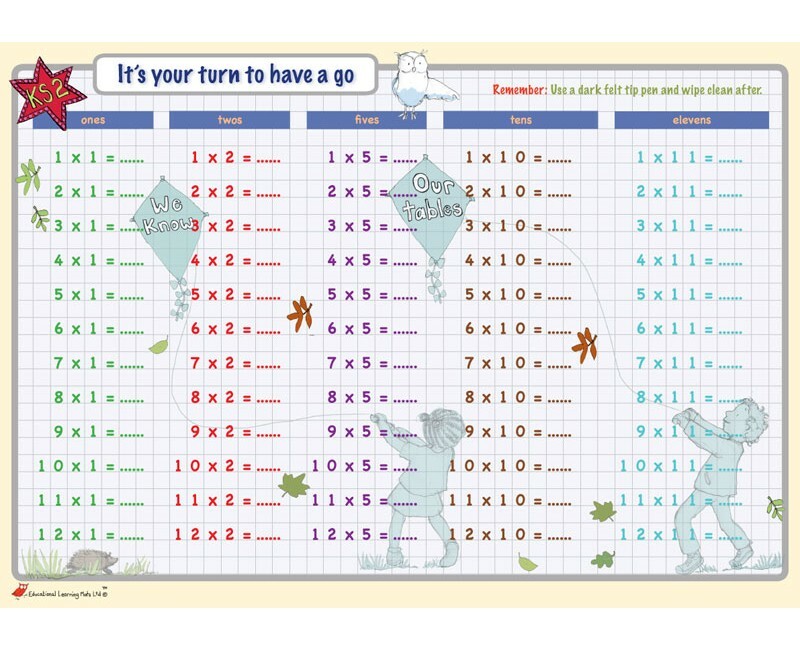 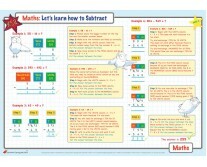 Mat 3 presents all the times tables covered in Mats 1 and 2 and is more suitable for older and/or more advanced children who want to test their knowledge.